Larger diameter makes hooping easier. Kids will love to keep it going hula-style! Set of six 42" hoops and six 48" hoops. The same durability as our other No-Knott™ hoops! Bigger is better... the larger the diameter, the easier it is to keep the hoop going hula-style! 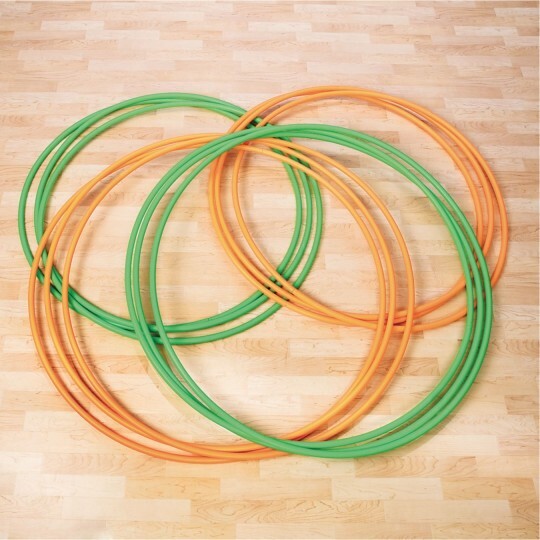 Set of six 42" hoops and six 48" hoops, both with the same super durable design as our other No-Knott™ hoops. I would def recommend these! We use them for team building with our older students. We use them in our early education dept. to separate centers. 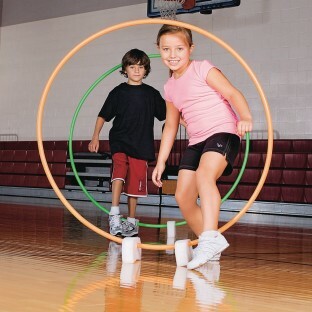 The large hoops are great for helping keep Legos and building blocks in a contained area. These large hoops are great for adults re-entering hooping. Great fun core training! My girls are loving these large hoops!